The Delhi Subordinate Services Selection Board has recently issued DSSSB PGT, TGT, and PRT exam notification for total 9232 vacancies. Delhi Subordinate Services Selection Board (DSSSB) issued admit card for Examination conducted for the posts of Primary Teacher to engage Primary Teacher in 4366 vacant positions. Now Board has stated process of selection mention the written exam date for Primary Teacher posts. The Board will issue admit card for PRT Positions. DSSSB Admit Card 2018 will be available according to the date of examination. The DSSSB PRT Admit Card 2018 can be downloaded through online mode. The candidate has to fill their Application Number at the Login page. Candidate must take the print of admit card in an A4 sheet. The candidate must read the instructions carefully written in DSSSB PRT Admit Card 2018 and carry it at the time of the exam. 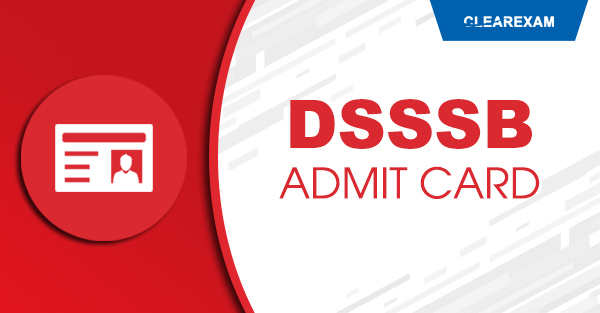 Candidates are advised to have a copy of the DSSSB PRT Admit Card 2018 as it might be required for verification at the time joining. 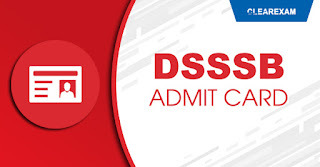 DSSSB admit card will contain exam details like exam date, time and center. The time will be mentioned in the admit card. Reach before the time mentioned. It is compulsory to carry admit card and photo at the exam center. Candidate has to show any one of the ID proof at the exam center. Driving license, Aadhar Card, Passport, College ID Card, Voter ID Card or Passbook. Keep the admit card safe. Make sure if, the examiner will sign on admit card. Without admit card, entry is not possible. Carry passport size photograph to paste in presence of invigilator to make a thumb impression as well. Candidates have to check the Important Link section in the official website. Click on the Download Admit Card. The candidates have to enter the following details : Application Number Date of Birth Captcha Code Then click on the Submit button. Admit Card will be displayed on the screen. No candidate will be allowed to enter examination center without admit card containing three pages and without ID Proof under any circumstance. Reporting time and the examination time for the candidate at the exam center is mentioned in the admit card. No candidate will be allowed to enter after the mentioned time. Candidates are not allowed to enter in exam center without three page Admit card & ID proof.